“The Islamic Republic of Iran welcomes the European Union’s positive positions on Iran, particularly those on the Iran nuclear deal or JCPOA, expressed in a statement released Monday. However, there are points and criticisms to express regarding the statement,” the foreign ministry said in its statement. The Islamic Republic of Iran is seriously critical of positions of the European Union in this regard. 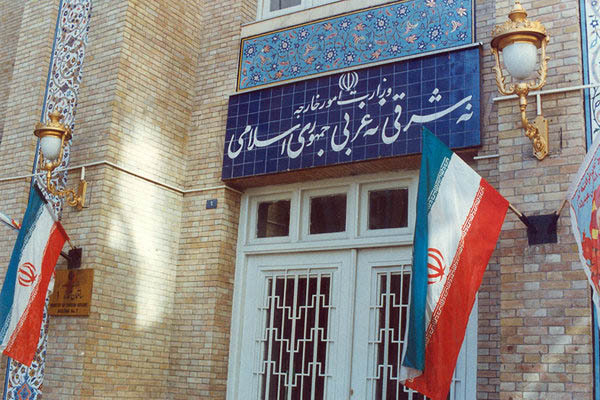 As announced before, Iran welcomes the registration of the Instrument in Support of Trade Exchanges. But there are natural and realistic expectations that the mechanism, introduced following delayed and inadequate efforts by the EU, goes operational accurately and quickly and covers other sectors of trade between Iran and European countries, as obliged in a May statement by the foreign ministers of Iran and the E3. For us, the economic aspects of JCPOA and its benefits for Iran are of particular importance and the implementation of obligations of European signatories to the nuclear deal could be an important criterion determining the future course of relations. This is unacceptable to link the implementation of this mechanism, which is part of JCPOA-related commitments, with the requirements of institutions such as FATF. Raising baseless allegations that Iran has designed or carried out terrorist plots in Europe was baseless and surprising in the first place. Raising such empty allegations and expressing concerns at a time when notorious terrorist and criminal groups who are freely active in Europe is not only non-constructive but is in line with the goals of enemies who want relations between Iran and Europe to sour. The Islamic Republic of Iran, as one of the biggest victims of terrorist attacks who has been a pioneer in fight against groups such as ISIS who even threaten Europe’s security, expects the EU to deal with these allegations seriously, while holding a realistic view and putting aside double standards. As announced before, Iran’s defence activities are only defensive, deterrent and home-grown, and this issue has never been included in the agenda of our talks with other countries. We firmly believe that raising such issues is not constructive and useful and not in line with the security interests of the region and real interests of Europe, considering the current circumstances in the region and clear threats against Iran’s national security. The Islamic Republic of Iran strongly advises European countries to hold a realistic view about incidents and issues in the region and not to believe the suggestions of elements who are against peace, stability and security of the region and development of relations between governments and nations. The Islamic Republic of Iran always supports dialogue, interaction and political solutions for settling regional crises. The Islamic Republic of Iran condemns the use of human rights as a political tool against independent countries. The behaviour of Iran in the past four decades shows Iran’s seriousness in promoting human rights and fulfilling international commitments through constructive cooperation and dialogue-based mechanisms. Positive measures and interactions of Iran with the UN’s human rights bodies and related international institutions indicate Iran’s commitment to continuing constructive cooperation. Expressing concern about the conditions of human rights in Iran, while it is clear to everyone that Iran’s human rights conditions are immaculate compared to that of others in the region, is an attempt to divert public opinion and an insistence on a wrong approach that can deepen distrust in bilateral relations. In a region where the main crises are the massacre of children at the hands of the Zionist regime and the crimes of the Saudi-led coalition in Yemen (carried out by conventional and non-conventional weapons provided by western governments including some EU members), such positions are undoubtedly non-constructive and rejected in the world’s eyes. The silence of the EU regarding widespread violations of human rights in its member countries, including violations of basic rights of refugees and immigrants, the growth of alt-right tendencies, and racist attacks against ethnic and religious minorities, particularly Muslims (due to hate speeches by European officials and violent moves by extremists), contradicts EU’s claims that they are advocating human rights. The Islamic Republic of Iran seeks constructive dialogue with the EU, based on mutual interests and respect. The history of dialogues and cooperation between Iran and the EU, particularly the experience gained in the past three years, shows that there are great capacities for developing relations between the two sides. We hope that the fulfilment of Europe’s commitments would prepare the ground for deepening relations as soon as possible.